For 45 years, North Fulton Pest Solutions has been delivering full-service pest control to Roswell, GA property owners. Whether you prefer weekly, monthly, or quarterly services, we offer a full range of integrated pest management plans, and we’re confident we can protect your home or business inside and out to have your home or business protected against any type of bug or pest, including cockroaches, fleas, ticks, ants, or any type of other nuisance insects you want out! We take great pride in providing reliable, effective service to our clients. In fact, we are so confident in our pest control services that we include a money-back guarantee with our annual service programs. No other pest control company will make that level of commitment to you. Call North Fulton Pest Solutions today at 770-457-7419….Receive $50 OFF any new annual pest control service and look for other valuable coupons! Guaranteed Results in WRITING with LIFETIME RENEWABLE GUARANTEES available! Living in Roswell, GA puts us at high risk for termites. 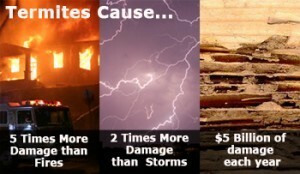 Termites cost homeowners in excess of 5 billion dollars annually in damage…and termites can live inside a structure for years before the infestation or damage is detected. Termites are destructive to all property types, and the resulting repairs are often expensive and not covered under most insurance policies. Prevention is the most important step to avoiding a termite infestation. A strong prevention plan includes having your home inspected and treated before you find any termite damages. North Fulton Pest Solutions uses the latest technology to eliminate existing termites and prevent them from feeding on your home. For your peace of mind, we offer both traditional liquid treatments featuring Termidor® and the latest in green termite control and termite bating systems, the Sentricon® Termite Colony Elimination System with Always Active™ Technology, the only termite bait system with “Recruit® HD” termite bait in every station from the very first day of installation! Most homeowners would rather not even consider the possibility that they have termites. However, in the Roswell area termites are very common. When you need Termite Control in Roswell, GA, North Fulton Pest Solutions is where you want to turn. We use the most advanced termiticides and termite baiting systems in the industry, and our Lifetime Renewable Guarantees and Damage Repair Guarantees will help keep your home protected and your mind at ease. We use two incredibly effective products that are proven to get rid of termites. Together they offer complete and thorough termite protection. Sentricon® Termite Colony Elimination System with Always Active™ Technology. The Statute of Liberty, the Alamo, Independence Hall, the White House, and millions of other homes use this green alternative to guard against termites. It takes care of the colony as well as individual termites. This elimination system features Recruit® HD termite bait in every single station on the day the system is installed. This provides termite protection all year, day in and day out unlike other termite bating systems that contain no active termite bait whatsoever! Termidor® Termite Treatment. This unique liquid, non-residual termiticide kills termites when they ingest it or come into contact with it. But when they carry the termiticide back to the colony, the colony is contaminated as well. This is called the “Transfer Effect™”, which helps eradicate the entire colony. Builders in the Roswell area can take advantage of the Builder’s Club program when they purchase our preconstruction Termite Control in Roswell, GA. Qualifying purchases can be used to earn Club Points for rewards. North Fulton Pest Solutions is one of two companies in the area that participates in the program. Your termite treatment plan and other termite services depend on the termite inspection. We combine a termite baiting system (Sentricon® with Always Active™) with a liquid residual treatment (Termidor® ) in areas conducive to termite infestation (identified during the termite inspection) as part of our recommended hybrid termite treatment protocol to keep termites away from your home and to provide your home with the ultimate in termite control and protection. Our termite inspection encompasses your home and property to reveal any areas of concern including termites in your home or along your foundation or adjoining areas of construction. From there we will determine the best course of action for addressing your termite problem or devise a preventative termite protection plan. A Roswell termite inspection and the Official Georgia Wood Infestation Inspection Report (also commonly called a “termite clearance letter”) is an important part of selling or buying a home. Our convenient request form is located right on our website; so, it’s easy for real estate agents and homeowners to make their requests. At North Fulton Pest Solutions, pest control is serious business. When you need termite control in Roswell, GA we will tailor it to meet your individual needs in a friendly, professional, and thorough manner. If you have found termites in your home, think you might have termites, or want termite protection for a little peace of mind, give us a call. 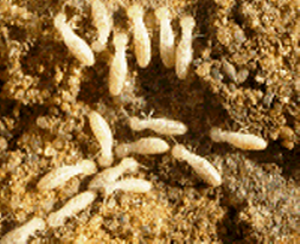 North Fulton Pest Solutions offers a full line of termite services. 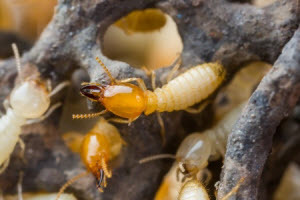 From pre-construction termite services, termite inspections, and termite clearance letters (including the Offical Georgia Wood Infestation Inspection Report), we can meet the needs of builders, homeowners, potential home buyers, and real estate agents who are concerned about termites. Call North Fulton Pest Solutions today at 770-475-7419…Receive $100 OFF any new initial termite service and look for other valuable coupons! Termidor® Trademark of BASF Corporation. ®Trademark of The Dow Chemical Company (“Dow”) or an affiliated company of Dow. 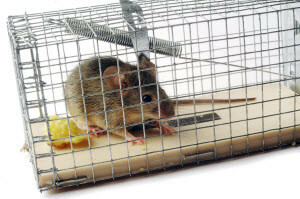 We trap animals and keep them from coming back! Most of us enjoy watching birds feasting at our birdfeeders. Few things are as cute as watching squirrels climb down trees and bury nuts for the winter. But when wild animals find their way inside our homes, they create a dangerous situation. Wildlife of all kinds can bring disease-causing germs into your home, chew wiring (creating fire hazards), damage ducts, contaminate insulation, leave droppings behind, and even attack people in your house. If you have found evidence of a wild animal in your home, call North Fulton Pest Solutions right away. 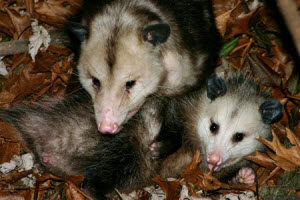 The many types of wildlife our wildlife control technicians remove from Roswell, GA homes include raccoons, bats, snakes, opossums, squirrels, rats, and much more. 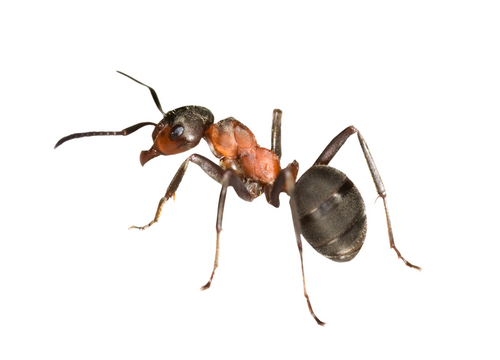 We remove small and large creatures from attics and crawl spaces nearly every day. Our technicians use the optimal equipment, materials, and humane techniques to make sure our clients’ homes are free of wildlife, and our wildlife exclusion services prevent animals from gaining entry or re-entering your home after unwanted animals are evicted! The Roswell area is rich in abundant wildlife. Squirrels, raccoons, skunks, rodents, and possums are just some of the wild animals that you may encounter here. There was a time when the animals had their own place. However, as human development has slowly encroached on their natural habitat, we see more and more wild animals in areas that are populated by humans. When the natural wildlife has no place of their own to go, they end up in our homes and on our property. When that happens and you find you need professional wildlife removal in Roswell, GA, we can help. While the wildlife may be beautiful and the animals may look cute and cuddly, there is nothing cute about the damage they can do to a home. Once they get into a basement, attic, or crawl space, they can chew wires causing electrical fires, destroy items stored in boxes, and even chew through walls. They can also introduce insects like fleas, ticks, and mites into a home. If humans or pets encounter the animals, they could attack and cause injury. 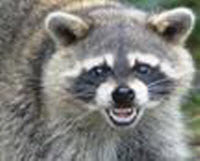 Children may not understand that wild animals bite, and one unfortunate encounter could end with a trip to the doctor to treat for rabies. There are strict laws that govern nuisance wildlife removal in Roswell, GA. If you discover wild animals on your property you should not try to take care of it yourself. While these animals can pose a significant threat to property value, health, and safety, trying to get rid of nuisance wildlife on your own could not only result in injury, it could also get you into legal trouble. It simply isn’t worth the risk. Whether you have bats in your attic or a squirrel in your wall, hiring a professional will not only ensure that the animal is removed, it will also allow you to learn how to prevent nuisance wildlife from entering your home in the future. If you have unwanted wild animals in your home, don’t try to take matters into your own hands. Trust the professionals at North Fulton Pest Solutions to get the job done right. Their trained, certified, licensed technicians are well versed in Georgia’s laws regarding nuisance wildlife, and they understand the importance of being compliant. Call today to schedule a wildlife control inspection and get rid of nuisance wildlife for good. Call North Fulton Pest Solutions today at 770-475-7419…Receive $100 OFF new initial wildlife exclusions service and look for other valuable coupons! If you need to rid your home or building of pests, call the experts at North Fulton Pest Solutions. We have the expertise it takes to eliminate insects, spiders, mosquitoes, termites, rodents, and wildlife from your premises. Call the experts in pest control in Roswell, GA today at 770-475-7419 to request a free estimate and schedule an inspection for your home or business.